We have a parking lot on the corner of Drayton and Gordon Street, as well as dedicated spaces on Wayne Street. During weekdays, only those parking spaces in the Gordon Street lot that face Drayton Street are open to church staff, members, and visitors. (The spots facing away from the street are for a neighboring business and their customers). During weekends, the entire Gordon Street lot is open to church staff, members, and visitors. Handicapped parking is located in front of the church on Calhoun Square. Additional parking may be found on the surrounding streets. Visitors should note that it is not necessary to put money in the meters on the weekends. Also, on Sunday mornings during church services, members and visitors may park along the yellow line along Calhoun Square (please do not park on the corners of the square). Aside from the main entrance on Calhoun Square (up the large set of stairs), church entrances are located under the awnings on Wayne Street and Gordon Street. An elevator to the second floor (where the Sanctuary is located) may be easily accessed via the Gordon Street entrance. 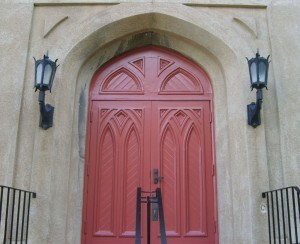 For security reasons, all entrances remain locked unless they are manned, such as during church services or other functions. 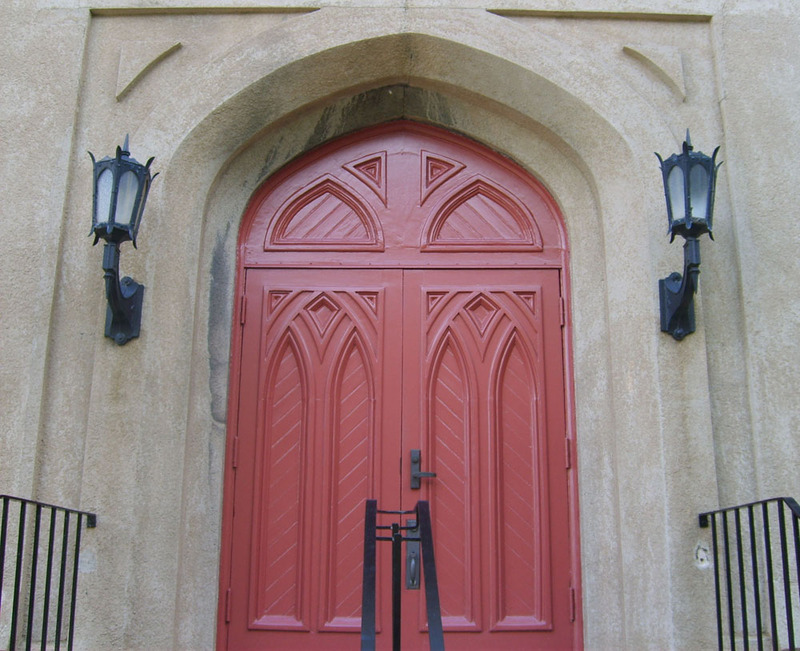 You may gain access during business hours by ringing the doorbell located next to the door, which will telephone the church office.